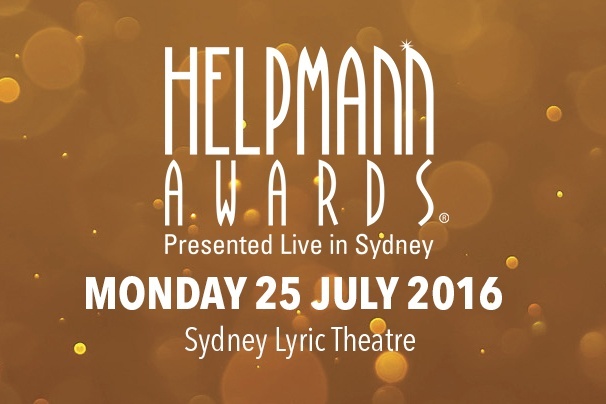 With the 16th annual Helpmann Awards set to dazzle at the Sydney Lyric Theatre on Monday 25 July, Live Performance Australia (LPA) today announced the line-up of Hosts for the Ceremony, and Performances. Additionally it was announced that tickets will go on sale to this iconic live theatre event on Monday 2 May through Ticketmaster. Hosts for the evening will be Adam Garcia, Helen Dallimore, Guy Noble, Simon Philips, Queenie van de Zandt, and The Umbilical Brothers. LPA Chief Executive, Ms Evelyn Richardson said last year’s Helpmann Awards sold out in record time. Given the extraordinary calibre of shows presented on stages across the country, we expect this year to be a night to remember. The 2016 Helpmann Awards Ceremony will be performed on the set of Singin' in the Rain.